What is the value of a Post Season Appearance? With rumors about a possible second wild card swirling, it seems that the future of baseball’s post season will include more than eight teams. 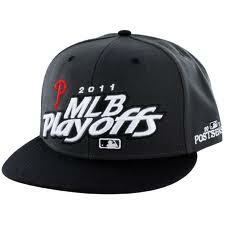 If each league adopts a second wild card, then one-third of Major League Baseball teams would make the payoffs. This past summer, I posed the question, What is the (economic) value of the Most Valuable Player? and I want to ask a similar question here. I know there is an explicit monetary award for post season appearances, but just as there is a trophy that goes to the MVP and ROY, what other benefits, both explicit and implicit, are awarded to these teams? Specifically, free agents are more likely to sign with a contender, so a team like the Arizona Diamondbacks will benefit greatly from the playoff exposure. Certainly next season’s season ticket sales will be higher in places like Milwaukee and Detroit based on their performances. But how much more benefit does actually making the playoffs infer. Consider a team such as the Cleveland Indians who garnered more respect around baseball and more support in Cleveland. Certainly their season ticket sales will be higher in 2012, just as it will for the Brewers and Tigers as mentioned above. There are econometric processes to tease that information out of the data. I will file this idea away until next season’s attendance data is available; when it is, this could make a fascinating study. This entry was posted in Baseball, Economics and tagged baseball, diamondbacks, econometrics, indians, mlb, playoffs, season tickets, tickets, world series. With the Boston Red Sox grasping at anything resembling a chance of holding on to the American League Wild Card, and the Philadelphia Phillies on an eight game losing streak after clinching the NL East, the concept of a team’s make-up has never been more relevant. There are really two separate seasons each year: they take place April through September and October. The playoffs are truly different than the regular season and the make-up of a team built for a 162 game marathon and a team built to try to win the eleven games necessary for a ring can be stark opposites. The New York Yankees, Boston Red Sox, and Philadelphia Phillies are flat-out built to win at anytime, but each team uses their resources differently at different times. Consider the Phillies and their starting rotation. They send out an ace approximately 130 out of the 162 game season; that’s enough to let any team slide into the postseason. But what about October? In a 5-game series, the third and fourth starters do not impact the series the way they do in the regular season. In a match-up against the Brewers, Yovani Gallardo, Zach Greinke, and Shaun Marcum damper the advantage the Phillies have in the regular season. Each game will feature two top-tier pitchers; the Phillies will not enjoy the Cole Hamels vs. Clay Hensley matchup they enjoyed against the Marlins eighteen times this season. Pitching depth is clearly needed during the regular season, whether in the rotation or bullpen, but a team built to win in October needs two aces, a solid third starter and three shutdown pitchers out of the bullpen. Offense boasts a similar story: a team’s lineup is going to go through many manifestations during the season, but once October comes around all that a team needs is a strong 1-6 in the line-up, three plus defenders to round out the offense and speed off the bench. This formula simply does not work during the regular season. Ask the Red Sox, who have the best one through nine on paper, but injuries turn the most potent line-up into a team that outside of the top 5 hitters in the line-up could pass as a AAA squad. Consider that the Red Sox current permutations of 6th through 9th batters include players that teams were either trying to give away over the past year or players that spent significant time in the minors over the past year and a half (note that Jarrod Saltalamacchia spent 2010 hitting .244 in Oklahoma City, Texas’ AAA affiliate and any team could have had [has had?] Darnell McDonald over the past three years). The Red Sox were built to win in October, they just have to get there. Consider that their game 1 and 2 starters are John Lester and Josh Beckett and there are their two aces. Clay Bucholz was slated to be the third solid starter, while the bullpen boasts legitimate shut down pitchers that have simply been overworked throughout the grind of 162 games. In any case, a simple check of this year’s playoff contenders shows a clear mix of teams built for the 162 game grind: Anaheim, Arizona, Detroit, Philadelphia, Tampa Bay, and Texas; and teams built for October: Atlanta, Boston, Philadelphia, New York, Milwaukee. Simply by being on both lists does not give the Phillies an advantage. Rather a team that boasts Roy Halladay and Cliff Lee starting twelve of nineteen potential games in October keeps the Phils way ahead of the pack in October. This entry was posted in Baseball, Sports and tagged baseball, boston, mlb, mlb playoffs, october, philadelphia, phillies, playoffs, red sox, wild card, world series, yankees. With the MLB trade deadline approaching and the NFL off-season condensed into one week, there are some interesting trade rumors flying around in Philly. For the Eagles, Dominique Rodgers-Cromartie (DRC) would turn a weakness into a strength for sure and he would help the Eagles win now. The Eagles need to think about winning this year, because Mike Vick will not be the same next year or the year after. Full NFL seasons are going to start to take a toll on Vick and the Eagles will soon be on the look-out for a new QB. There’s no doubt in my mind that the Eagles backup will start at least 3 games this year. I’d like to see the Eagles trade Kolb for DRC, but also go after a guy like Brian Hoyer the #2 for the Patriots. With their pickup of Ryan Mallet, they have a solid backup for the future, so Hoyer, a good backup himself would be expendable. In any case, the Eagles need to have a backup plan at QB once Kolb is out of the picture. Over at CItizens Bank Park, the Phillies rumors surround a bat. Renting Carlos Beltran has a nice ring to it, but I don’t think he is the answer. On the other hand, Hunter Pence would fill the gaping offensive hole left by Jayson Werth’s departure. Pence is in the last year of his contract, but if the Phillies were confident that they could re-sign him (they have Ibanez, Lidge and Oswalt’s contracts coming off the books… 33 million), so they can afford an expensive addition. Plus with Pence signed, the Phillies would have more leverage in negotiations with Jimmy Rollins this winter; his offense could be considered expendable. The debate about acquiring Pence surrounds trading Dominic Brown. Over the past few years, prospects have become extremely over valued. I heard Brown compared to Darryl Strawberry recently. I think a better peak projection would be exactly what Hunter Pence is right now: .300 average, 25 home runs, and 15-20 stolen bases. Pence has a proven track record of success, while Brown only has question marks. Some trades work well for both teams (see Red Sox/Marlins deal featuring Josh Beckett, Hanley Ramirez, et al.). I think a deal of Pence for Brown gives both teams what the desperately need, as long as Pence is not a 3 month player (yes, I am counting October…). This entry was posted in Baseball and tagged baseball, eagles, Hunter Pence, Kevin Kolb, philadelphia, phillies, philly, trade, trade rumor. What is the (economic) value of the Most Valuable Player? As I was checking up on my geeky fantasy baseball team (NL-only, auction, keeper, contracts, minor leaguers), I found that the Padres sent Anthony Rizzo to the Minors one day before he lost rookie eligibility. He has 44 days of Major League service and the cut-off is 45 days (excluding September 40-man roster expansion service). While I know, understand, and appreciate why teams wait to bring up a prospect to extend arbitration (http://phuturephillies.com/2011/05/13/domonic-browns-service-time-a-consideration/) I wonder if the cut-off for rookie status impacted the Padres decision at all. This entry was posted in Baseball and tagged mlb, mvp, rookie.